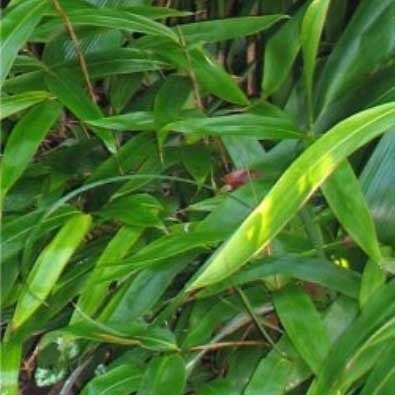 This small bamboo has enormous, dark green leaves on slender, needle-like canes. The oversized leaves bend the narrow canes creating a leafy mound. It is a small species that does not spread excessively making it ideal groundcover for an exotic garden. Supplied in approx 2-3 Litre containers.